On July 8th our amazing friend Angela Trimbur received news that she has breast cancer. She will be undergoing surgery within the next few weeks to have her breasts removed. We are still waiting on MRI results to see if the cancer has spread and/or if she also needs chemotherapy and radiation. Angela has insurance that covers a part of the procedure, but medical emergencies like this always come with co-pays and unforeseen expenses and we want her to see the best of the best. Mastectomy/reconstructive surgery from the most ideal surgeon is estimated to cost around $29,000 out of pocket for her plus 8k for each post surgery adjustment (usually 2). Recovery time for these procedures vary, but they anticipate it will take at least a few months. She will need to cover living expenses while she is healing from surgery and not able to work. Nutritionists and therapists who specialize is cancer patients and post surgery assistance. Her family will need help with airfare expenses to come to LA to assist in her recovery. She has to make a lot of serious decisions in a very short time, so alleviating her worry of money will help her tremendously with the amount of stress she is dealing with. If you know Angela, you know how incredible she is. She has awe-inspiring energy, an unbelievably loving spirit, and is one of the sweetest friends. 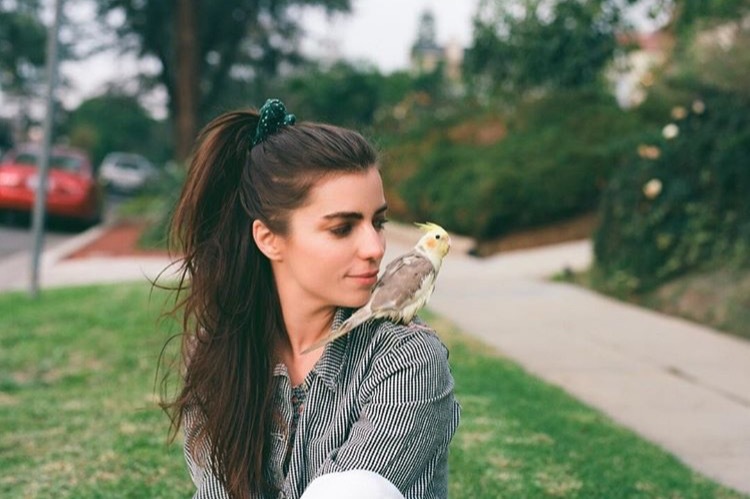 She's a wonderful actress, passionately runs dance workshops for women to get them out of their shells, is captain of the LA City Municipal Dance Squad and mother to cockatiel Henry Trimbur, also a new injured bird Annie that she just rescued! We love Angela so much and know she has a very large community of friends and strangers she’s inspired who are more than happy to be there for her in this traumatic time. Any donation amount helps! Angela is so grateful for all the outpouring of love and support shown so far. It's truly heartwarming to see an entire community come together to help a single person. Any unused funds when all is said and done will be donated to other GoFundMe's for people also struggling through breast cancer. We are in constant contact with Angela and will update this page with all the new information to keep you aware of how the process is going.